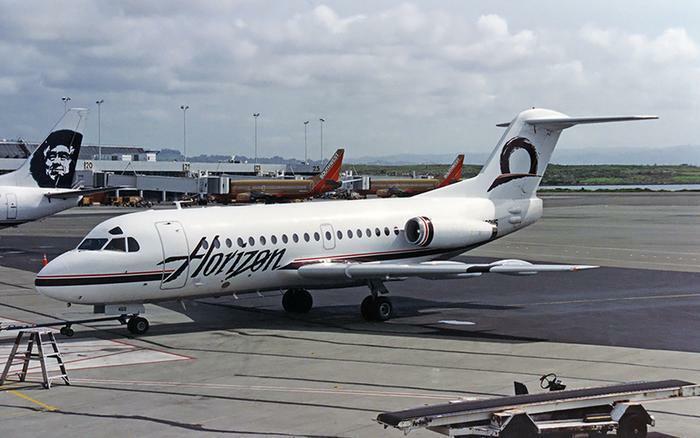 A former flight attendant has filed a lawsuit against Alaska Airlines claiming she was effectively terminated for reporting that the pilot and other crew members of Alaska subsidiary Horizon Air went out drinking late the night prior to an early-morning flight. The suit filed in Multnomah County Court, Oregon, seeks $800,000 in damages for Vickie Brown, who charges that she was effectively fired after a 15-year career because she reported the unruly and drunken behavior of fellow flight-crew members. "Ms. Brown was employed by Horizon as a Flight Attendant; she resigned from the company this year," a company spokeswoman told ConsumerAffairs. "We do not comment on ongoing litigation." Brown said that on Feb. 6, 2016, she and other crew members were staying at a hotel near Bellingham International Airport (BLI) in a room next to the one occupied by the captain. She was invited to go out drinking with the captain and other crew members but declined, the suit states. She heard the crew return later that night and said they were "loud and disruptive." "The crew had in fact been out drinking past curfew and had been so heavily intoxicated that they were kicked out of one bar and so went to another before returning to the hotel," the suit alleges. The crew was scheduled to catch a 4 a.m. van to the airport the next morning. Brown said she encountered the captain getting coffee and found him looking "disheveled and exhausted" and said that she could smell alcohol coming from her fellow crew members. Federal regulations forbid flight crews to consume alcohol within ten hours of a flight. Brown said she looked for someone she could report her concerns to but found no supervisor at the airport. She also could not locate the airline's safety hotline number, she said. While she looked for the hotline number, Brown said, the aircraft doors were closed and the plane began to taxi before safety and compliance checks had been completed. The flight arrived safely in Portland, where Brown declined to continue on the next leg. She said one of the flight attendants who had been out drinking also left the flight in Portland, saying she was ill.
"Later that day, [Brown] spoke with another flight attendant [who said the captain] was talking about the previous night and mentioned that a flight attendant ... had passed out in his room and that he had wondered if he should tell his wife about it," the suit alleges. Brown said that after leaving the flight, she reported the incident to her supervisor but said there was "no indication" the crew was tested for alcohol or that any other action was taken. Brown said the incident left her feeling anxious and she called in sick for the next several flights. She said her later reports to management were met with "disinterest and condescension." Brown said other flight attendants told her the captain was angry at her for reporting him and she felt she faced a hostile work environment. "The message was clear: Horizon did not think this was a serious issue and was going to do nothing to protect" her from retaliation by the captain. "She was on her own and if she didn't like it she shouldn't come to work," the suit alleges. She left the airline Oct. 5, saying she could no longer work in what had become a "toxic work environment."